Breakfast Week - Shake Up Your Wake Up! Breakfast. The most important meal of the day or so the saying goes. 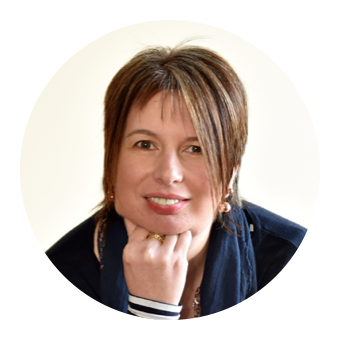 During the week its often a case of throwing some toast or cereal down your throat as you rush around organising the family and trying to get everyone out the door, but at the weekend it can be a more relaxed and much more impressive affair. The annual Breakfast Week celebration this year runs from 25th - 31st January and champions the importance of breakfast. To kick off the celebrations I received a fantastic Breakfast pack from award winning online butchers Donald Russell. Arbroath Smokies, Smoked Haddock, Smoked & Unsmoked Back Bacon, Smoked Streaky Bacon, Beef Sausages, Pork Sausages, Artisan Pork Sausages and Diced Streaky Bacon. First to get eaten was the streaky bacon. Forget bacon on pancakes, bacon IN pancakes is where its at. The basic pancake recipe is my Grandmothers (she of the famous Grandma Monearn's Shortbread) hence the imperial measurements. Not sure what she'd make of my adaptation. Grill or fry the bacon until cooked and set aside. Sieve together all the dry ingredients and make a well. Add beaten egg and mix. Gradually add milk whisking well until you reach a dropping consistency. Preheat a buttered griddle or frying pan on the hob. Dip a bacon rasher into the pancake mixture until well coated, allow any excess batter to drip off before placing in the pan. Drizzle with maple syrup, eat and enjoy! 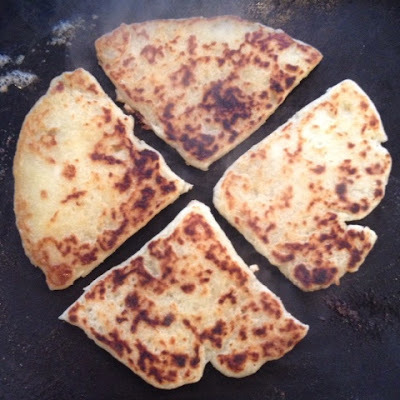 I'm not sure if its just a Scottish thing but in the Foodie Quine household Tattie Scones are always a must when it comes to a cooked breakfast. Home made ones taste so much better than shop bought. Very simple and economical make especially if you have some leftover mashed potato lurking at the back of the fridge. Give them a try, once you do you'll never look back. Sift in the flour, salt and baking powder and mix until thoroughly combined. Divide into two balls and chill in the fridge. Cut the circles into quarters and prick with a fork. Heat a griddle or heavy frying pan. 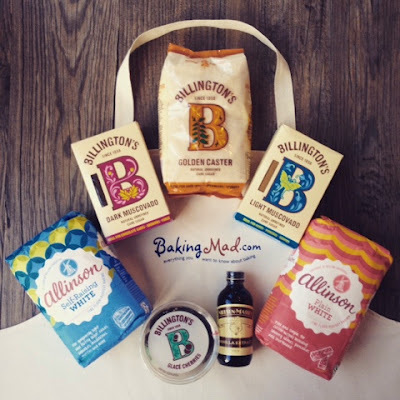 Baking Mad sent me a lovely selection of Billingtons Sugars and Glace Cherries, Allison Flours and a bottle of Nielsen Massey Vanilla Extract. With these I whipped up the most fantastic Cheese, Bacon & Tomato breakfast muffins using Allinson Flour and Billington's Sugar. 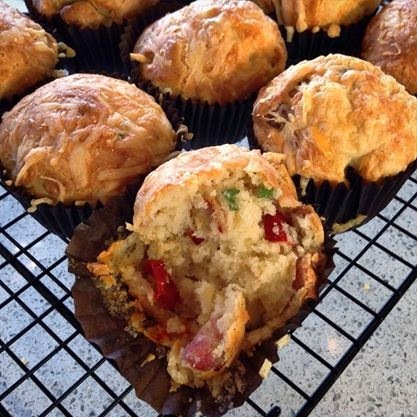 Miranda may not be a fan of the savoury muffin concept but I most definitely am. Great for breakfast, served with soups or simply as a snack. There are lots more fab baking recipes at www.bakingmad.com for me to try out the rest of the ingredients. I wonder if I could get away with Chocolate Cherry Cake for breakfast? 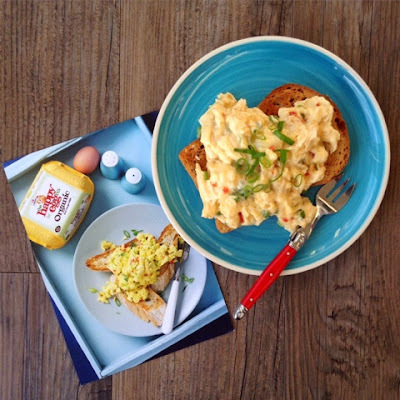 I'm a member of the Happy Eggs Taste 100 Blogger Network and was very intrigued by the sound of the January recipe on their 'Nice Pecks' calendar for Thai Scrambled Eggs. Scrambled Eggs are a fantastic choice for a healthy, fuelling breakfast, but can sometimes get forgotten about or thought to be a bit bland. However I assure you that when combined with chilli, ginger and coconut, the humble scrambled egg becomes truly awesome! The January #HappyEggsTastemakers challenge was to come up with my own twist on the breakfast classic. Poach the smoked haddock fillets in a frying pan along with the milk, bay leaves and black peppercorns. Bring to the boil, reduce to a simmer for 2 minutes then take off the heat and set aside whilst you prepare the eggs. Lightly whisk together the eggs and season with salt and pepper. Heat a non stick pan and melt a generous knob of butter in it. Pour in the egg mixture and lightly scramble. Remove the smoked haddock from the pan and flake. Mix half through the scrambled eggs as they finish cooking. Serve up the eggs and top with the remaining smoked haddock and a sprinkle of smoked paprika and spring onions or chives. 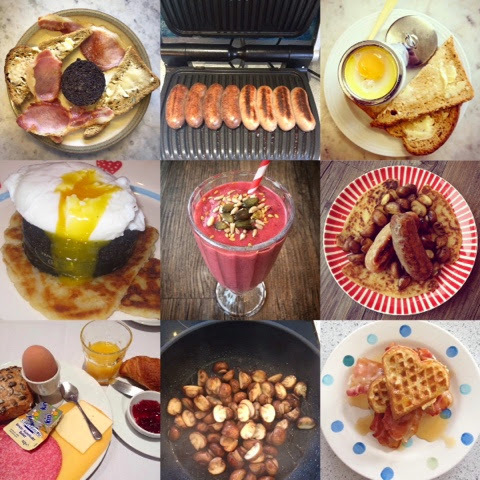 I couldn't blog about breakfast without mentioning one of my favourite breakfast experiences. 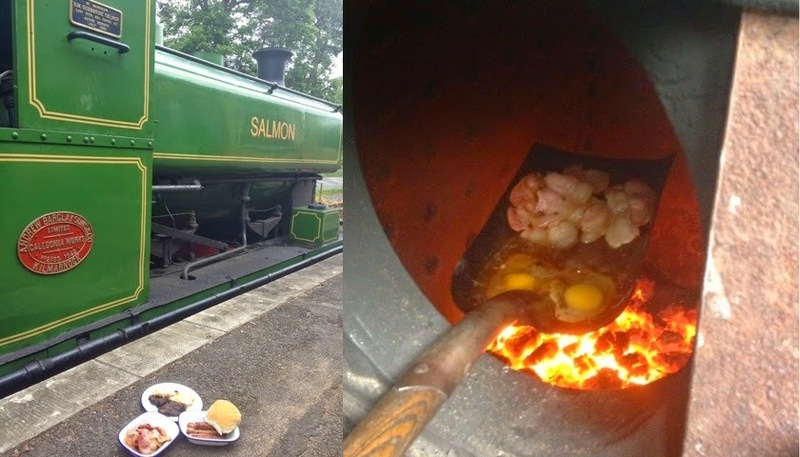 Cooked breakfast on the shovel of a steam train. Read all about it on Footplate Fryup at Deeside Railway. Definitely not a breakfast I'll forget in a hurry. "Breakfast like a King, Lunch like a Prince and Dine like a Pauper"
Disclosure : Thanks to Donald Russell, Baking Mad and The Happy Egg Co for providing me with products for inclusion in this post. Give them a go. I promise they won't disappoint. I would normally go for smoked salmon in scrambled eggs but I think I may now have been lured away by yellow fish! My idea of heaven...all of them..I love breakfast, love bacon. Definitely want to try your tattie scones. Honestly they are so easy! My son actually made the ones in the photo. My gosh, can I please come over to yours for some breakfast? You'd be most welcome at any time Bintu, as long as you bring one of your own equally yummy creations! How delicious - I couldn't limit these to just breakfast! We love a bit of Brinner in this house and the smoked haddock scrambled eggs were exactly that! Thanks Camilla, I specifically though of the tattie scones for #CreditCrunchMunch but all the recipes are rather thrifty. Perfect recipes for Burns Night (Week!). 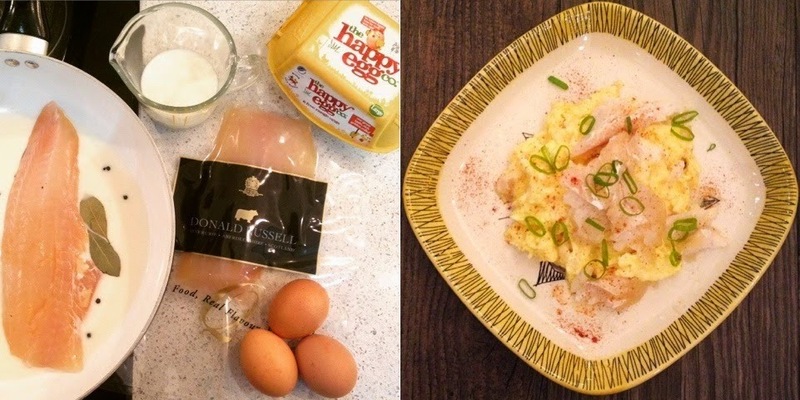 I'm going to try the smoked haddock scrambled eggs soon! There is a bit of a Scottish twist to them! I bet the smoked haddock scrambled eggs would be fab on top of tattie scones. Oh my goodness me, I think bacon pancakes might be one of the best ideas I've ever come across. Delicious ideas! I can't take credit for the idea, they are all over Pinterest. However I reckon my Granny's pancake recipe makes mine extra special! Do let me know how you get on Jen. I'm assuming what you are calling American pancakes I would call Scotch Pancakes or Bannocks? Goodness, those bacon in pancakes look heavenly! Its taking two already amazing foodstuffs and combining them both to make and even more amazing one! There's been lots of chat on twitter as to what they should be called. Pigs in Blancakes is the current front runner! Bacon in panda cakes with a side of tatie scones, mmmm yes please! I can't see any problem with having Chocolate Cherry Cake for breakfast as long as you don't do it every day!! What a fabulous selection of recipes. I particularly like the sound of the tattie scones. I often make too much mashed potatoes (I'd alway rather have too much than have everyone go hungry) so this is a great idea for using them up. Thanks for linking up to #FoodYearLinkup. There's some great food days coming up in February so I hope to see you there again next month. I'll definitely be back next month, already planning Valentines, Shrove Tuesday and Chinese New Year posts! So quick and easy to make. Perfect fishy eggy goodness for breakfast, brunch or brinner. 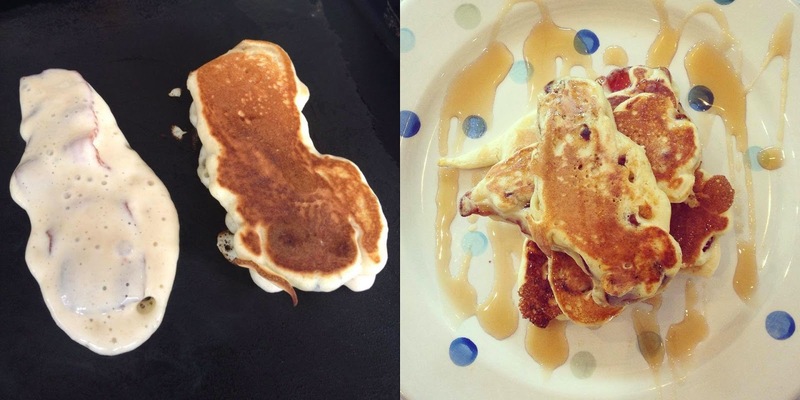 Not long now till Pancake Day so this is a great idea! #FoodieFriday! I'll definitely be including the Bacon IN Pancakes in my Shrove Tuesday Blog Post. Nowt wrong with a bit of recycling! Can't beat a good breakfast. The perfect weekend indulgence. Thanks Helen, I forget how wonderful tattie scones are. Homemade ones beat shop bought hands down.